Efficiency, protection, and integration are important design factors for compact DC-fed drives up to 60VDC. 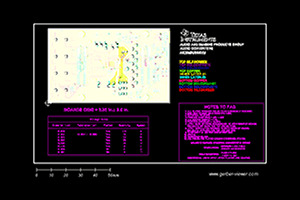 This reference design shows a three-phase inverter with nominal 48-V DC input and a 10-ARMS output current. 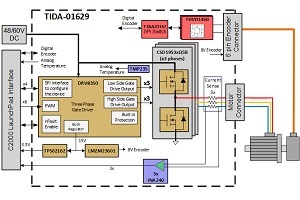 The 100-V intelligent three-phase gate driver DRV8350R with integrated buck converter and six 100-V NexFET™ power MOSFETs with ultra-low gate charge enable high efficiency of the power stage. Using the internal protection features of the DRV8350R, the power stage is protected against overtemperature, overcurrent, and short-circuit between the motor terminals and motor terminals to ground. 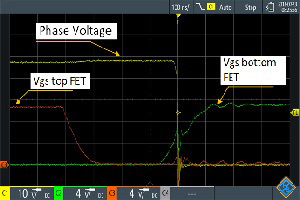 Precision phase current sensing is achieved using the INA240. The interface is a 3.3-V I/O to connect a host MCU like the C2000™ MCU for brushless AC motor control.